If you’re like most business owners — a full 72 percent, according to Experian’s 2018 Global Fraud and Identity Report — you’re concerned about fraud, and that concern is growing. Regardless of the size of your business, fraudulent activity is disruptive and costs money. Many business owners reluctantly regard the loss of some honest customers as an unfortunate byproduct of the security protocols they have in place. And that’s because traditional methods of fraud detection, which generally rely on PINs, passwords and other measures that require a customer’s input, “flag” potentially inauthentic transactions based on those measures. 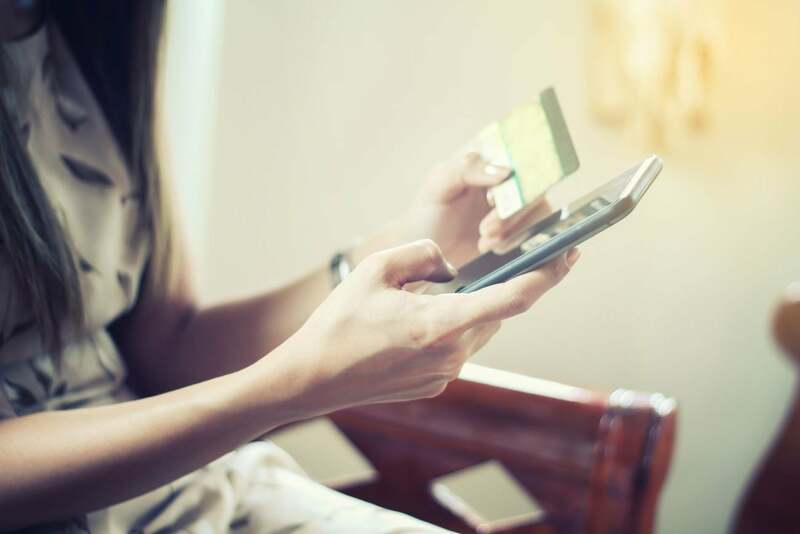 While sometimes, the transaction is fraudulent, often a customer simply can’t remember or retrieve a PIN or password after several attempts, and the transaction is declined. Every time you decline a transaction based on suspicion alone, you’re risking the loss of a legitimate sale — and maybe even a long-term customer. Still, 67 percent of the businesses we polled believe that fraudulent transactions that aren’t declined are costlier than legitimate transactions that are declined. In fact, our global research found that a vast majority (71 percent) of businesses use fraud-prevention measures based on suspicion and detection (i.e., declining transactions based on raised red flags and potentially losing legitimate customers in the process), while only 29 percent use fraud-prevention measures based on permission and trust (approving more transactions based on faulty assessments, thereby inadvertently permitting fraudulent activity). Businesses know that happy customers are paramount to success. And while reducing fraud is imperative, it cannot and should not detract from a positive customer experience. So, how do you reduce fraud and protect (and retain) your customers? By re-thinking your fraud-detection and prevention strategies and implementing newer and more efficient ones. 1. Implement customer-centered fraud prevention strategies. Customer recognition is important for both businesses and customers. Being recognized helps customers feel valued and appreciated. It also helps facilitate trust, which makes customers feel safe and protected. Being recognized as a legitimate customer online, particularly since the built-in anonymity of the web makes it a breeding ground for scammers and fraudsters, is more critical than ever. A recent Javelin Strategy & Research study found that “card not present” fraud is 81 percent more likely than point-of-sale fraud. That’s why many businesses, including banks, are embracing new technologies, such as voice recognition, at their call centers. According to our research, 84 percent of businesses say they could reduce their fraud risk mitigation efforts if they were certain about their customers’ identities, and it’s clear that they want to be more proactive in their approaches to fraud detection, while preserving and protecting the customer experience. 2. Find the right balance between fraud prevention and customer experience. While most customers are willing to spend a little more time and effort on a transaction in order to feel secure, the measurement of consumer tolerance levels is by no means an exact science; it varies by age, demographics and other factors, and is likely to change as technology advances. A positive customer experience is imperative, and so is security. Business owners must be mindful of consumers’ fluctuating and potentially diminishing tolerance levels for hurdles when implementing fraud prevention and security protocols. What should you do? Explore newer technologies, like geolocation and device fingerprinting, which require minimal, if any, effort from shoppers, yet keep them safe. When customers come to your site, they should be able to find what they want and make a quick and easy purchase, feeling safe and being aware that security measures are in place, but not having to worryabout security. 3. Embrace new fraud protection technologies. If you’re still relying on passwords and other traditional means to authenticate customer transactions, and if you want to retain and expand your customer base, it’s time to modernize your customer recognition ID methods with more secure and more customer-friendly technologies. Though there’s no 100-percent foolproof method of fraud protection, businesses need to consider multi-layered approaches that include data-driven, artificial-intelligence-powered systems such as device intelligence or behavioral biometrics, proactive strategies that are designed to recognize customers while keeping their transactions stress-free. Biometrics, which relies primarily on unique biological, physical and even behavioral characteristics including facial features and fingerprints, for identification, makes consumer verification virtually seamless. According to a Visa survey, 70 percent of respondents find biometrics easier than passwords and 61 percent consider it faster. Unfortunately, with increasingly complex technologies come increasingly complex fraudulent activities. Businesses need to stay on their toes to stay ahead of shrewd fraudsters. Customer recognition delivered through multi-layered solutions tailored to the customer experience is the future of fraud prevention.